Come and drop in at one of our football sessions every Tuesday morning between 10:00 - 12:00 at The PowerLeague Liverpool (formally known as The Pitz). These sessions are for anyone from a socially excluded background, who wants to come down and have a kick about and meet new people. Our sessions are very flexible and we make them available to people of all abilities. We operate a walk on/walk off policy meaning if you're tired you can go and have a rest. It's not about intense exercise, we see this more as a way to get people together. 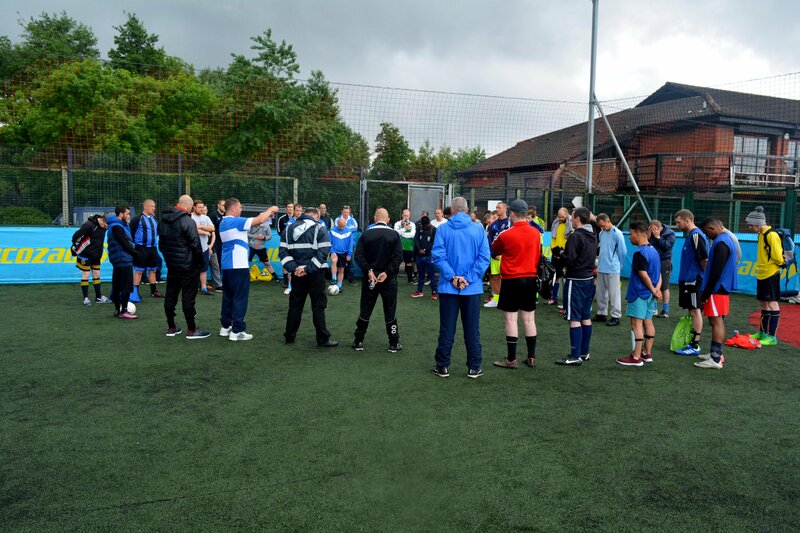 Why Not Try Walking Football? If you don't feel confident enough to play in the drop-in sessions then you should try walking football. These sessions are ideal for people of all ages who don't want to or are unable to run. We play every Tuesday morning at 11.30 and the session is directly after the football drop-in session. You are welcome to stay and play in both sessions. We welcome everyone to our football sessions so come and join us. If you're looking to play or just want some more information, then give us a call on 0151 237 3986 or if you'd prefer, you can fill in our contact form. Whichever way you contact us, one of our friendly staff will be on hand to give you all the advice you need to get playing.